It is time to understand spiritual warfare...from God's vantage point. Many believers have become insensitive, numb, and virtually powerless to deal with the occult in the world today. But this is not going to stop demon-busting pastor Kim Daniels. In her loving yet confrontational style, she exposes the enemy's infiltration and strategies to keep us spiritually "dumbed-down." This primer on spiritual warfare is written with a military flare. Using her military flare. 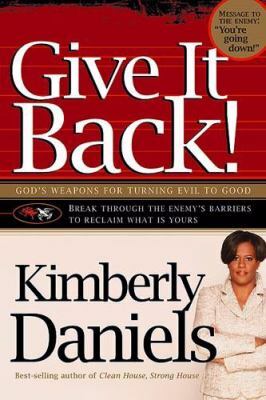 Using her military training, she delivers a message that teaches believers to confront the devil and his demons in a great spiritual battle'and come out victorious in God.Daniels, Kimberly is the author of 'Give It Back! ', published 2007 under ISBN 9781599790572 and ISBN 1599790572.